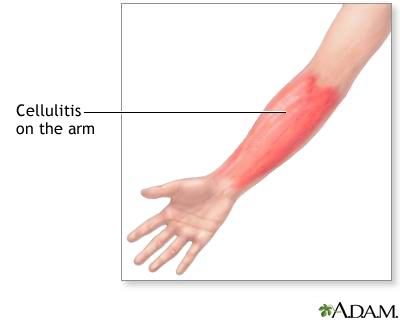 Cellulitis is a noncontagious inflammation of the connective tissue of the skin, resulting from a bacterial infection. Antibiotics are given to control infection, and analgesics may be needed to control pain. Within 7 to 10 days of treatment cellulitis can be cured.